When done right, hospital mergers have the power to transform the health care landscape. 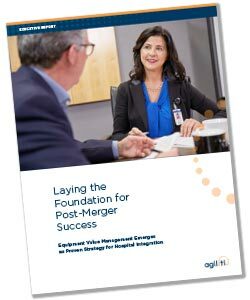 However, data suggests that few deals achieve their promised potential, as many hospitals struggle with integration – a critical period when two disparate operational processes must come together without sacrificing the delivery of patient care. Complete the form to receive the Executive Report.